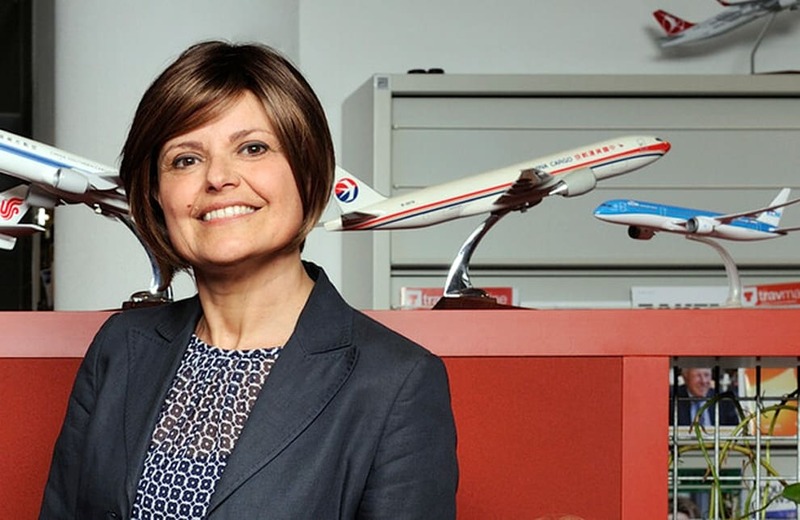 Enrica is originally from Italy and has spent her entire career working for Air France KLM Martinair Cargo after starting out with KLM Cargo in Italy. She then led the cargo division in Spain from 2011 to 2014 before relocating with her family to Amsterdam where she now leads the pharmaceutical division of the group. She is passionate about pharma logistics and excited about the digitisation of the sector. Why did you pursue a career in (pharma) logistics? I arrived in logistics by coincidence and in pharma logistics by passion. It is challenging to lead such an important division for Air France KLM Martinair Cargo, which represents more than 10 per cent of the total yearly revenues. And it is even more of a challenge to guide the organisation in this complex field, which is highly regulated with many demands, but also lots of opportunities to make a difference. What has been a career highlight for you, so far? For me, it has been understanding the real needs of customers, and moving the organisation towards accomplishing goals. In pharma logistics, our customers require transparency and so we have implemented new digital experiences, as well as launching a cool chain program within our group. What challenges have you (also as a woman) experienced, and how did you overcome them? We live and work in a man’s world. I am a woman, I am a foreigner, and I am “petite”. I feel that I cannot be heard by presence or strong voice. Instead, I have to find a way to be listened to via other means, such as energy, creativity, commitment, and vision. These are the characteristics that allow me to work in a man’s world. Have you had to overcome any obstacles to achieve your leadership position? The obstacle for me has been private. Moving my family from Italy has been, and continues to be, a sacrifice for me and my husband, but also for my parents and our friends we left in Milan. Pharma logistics is considered to be quite a male dominated sector. How are female leaders changing that perspective? I am not sure yet if we are at the point of changing the perspective, but I like to think that, irrespective of gender or nationality, companies will consider the best person for a position. What advice would you give to someone considering a career in pharma logistics? Pharma logistics is a heavily regulated environment. Therefore, I believe it is important to spend some time in understanding the rules, regulations, and requirements. What are the qualities required for a female leader in pharma logistics? Focus and passion, but also a strong understanding of new technologies. I am convinced pharma logistics is the sector where new technologies will soon impact the way of working and create tremendous benefits for all industry players. Why do you think Netherlands has so many female leaders? Being south European, I see the Netherlands as a country where diversity is welcomed. I have no difficulty in living here without speaking the language, and this openness has made me flourish as a leader. Do you feel an enhanced level of responsibility as a female leader? The level of responsibility I feel in pharma logistics is not related to being female, but is dictated by the responsibility associated by transporting medicines and vaccines and that can save lives. How is technology impacting the industry? New technology will have a great impact on logistics. Real time data, integrated solutions, online visibility, Blockchain, and IoT will help the industry to modernise, and airfreight will benefit from a boost in visibility.